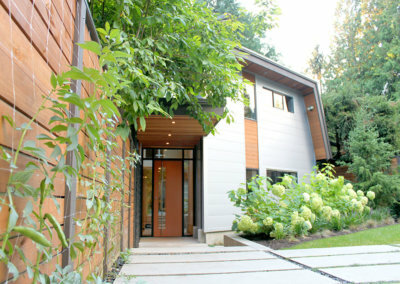 The uniquely angular footprint of the house responds to the creek along the west side of the property and the oblique property lines. 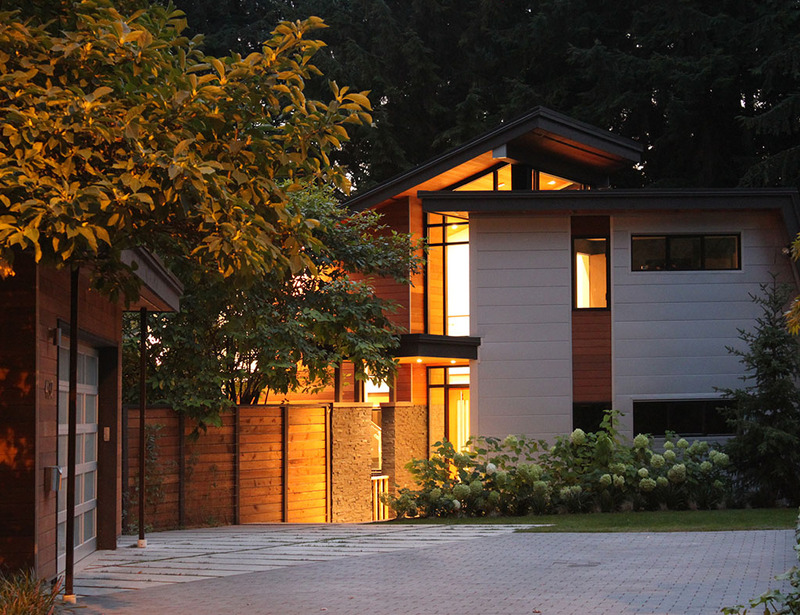 In keeping with the spirit of the distinctive spaces created by these intersecting planes, the plan of the metal clad addition, and the roof lines of both additions, playfully fold and change direction. 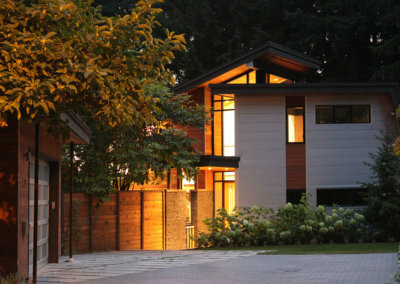 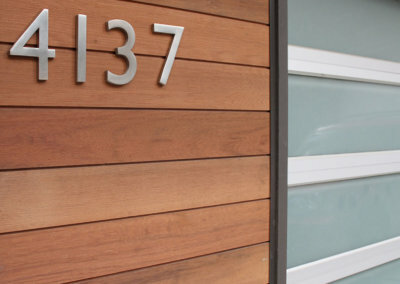 The result is a completely re-modeled home which is sleek, vibrant and connected to the site. 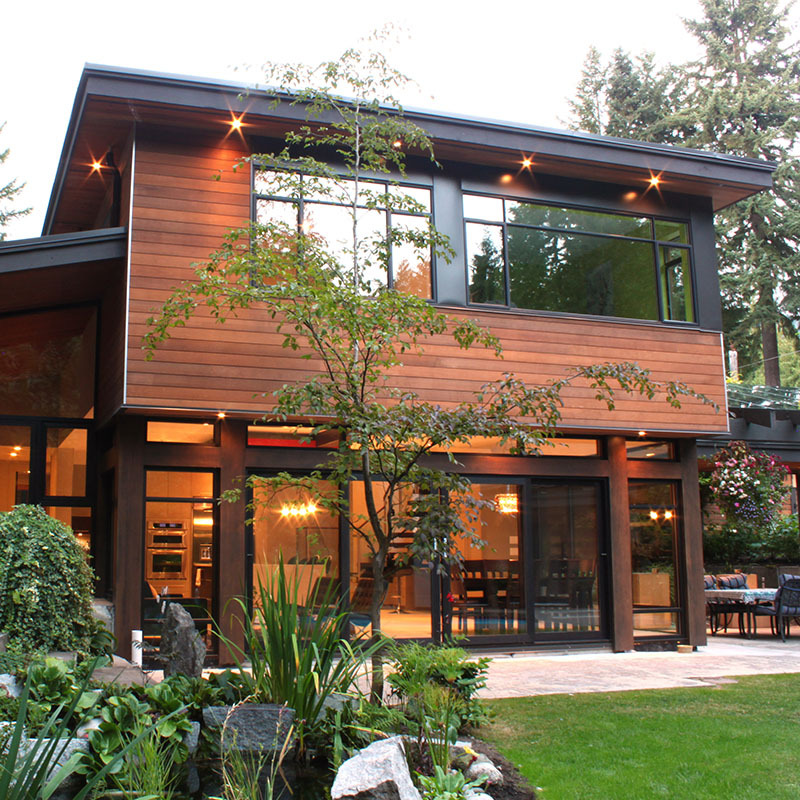 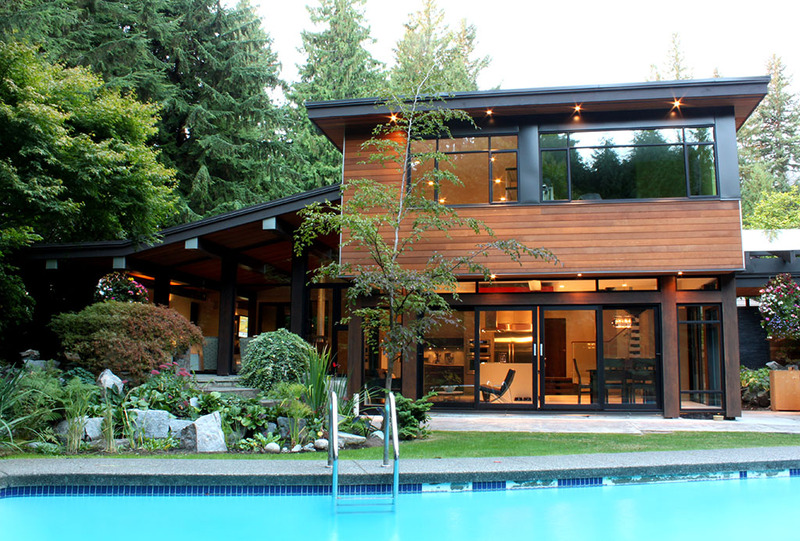 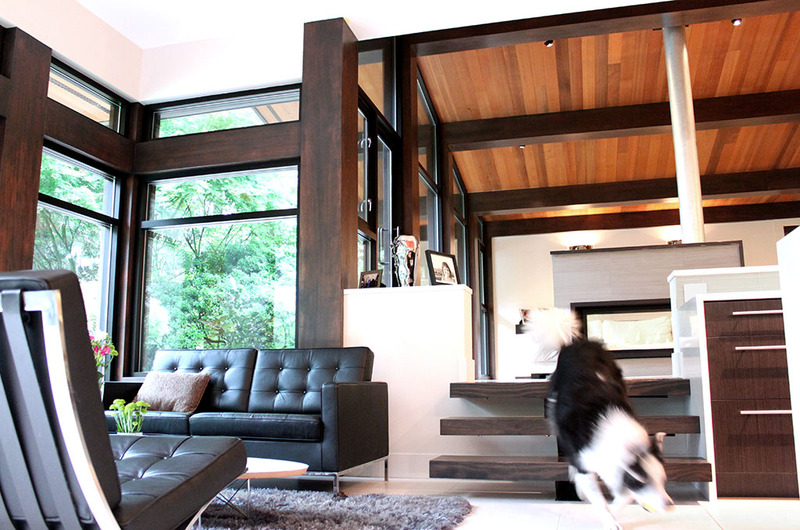 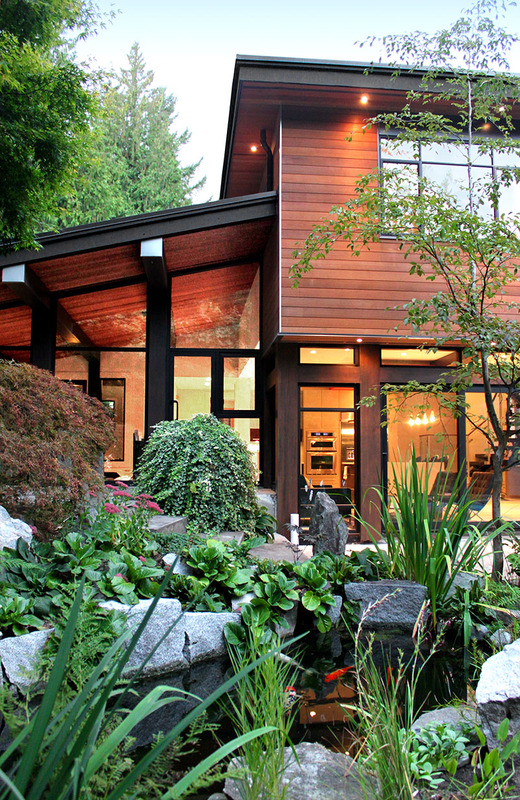 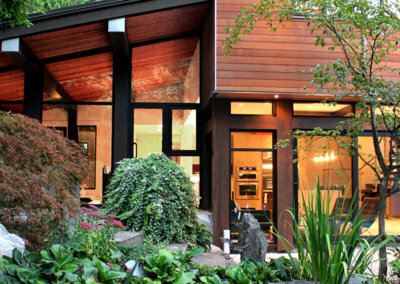 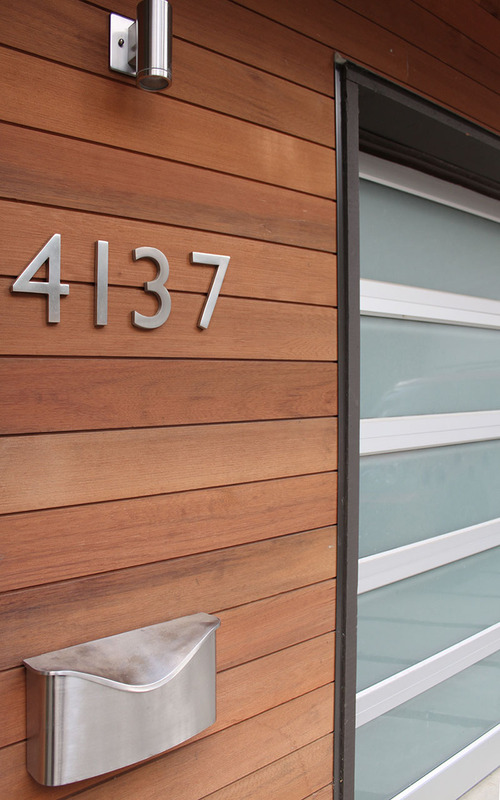 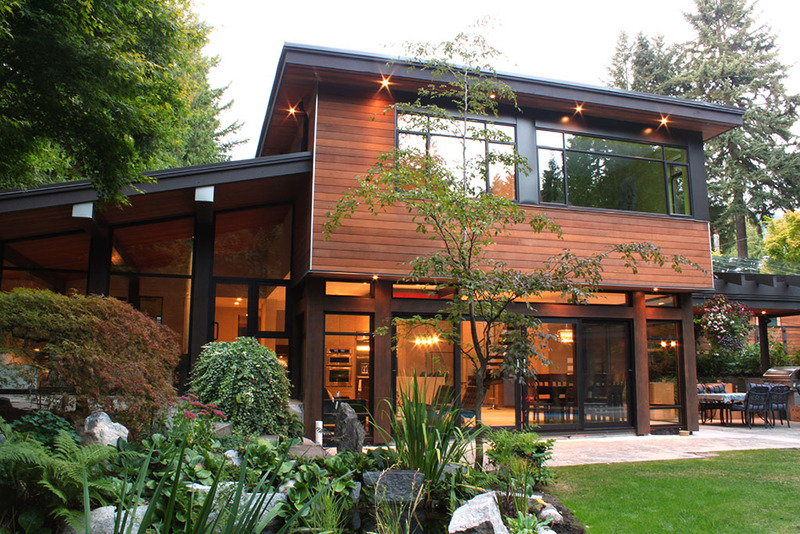 Repeat One SEED clients approached us when they purchased a 70s modern post and beam house on a stunning creek front and forested lot in North Vancouver. 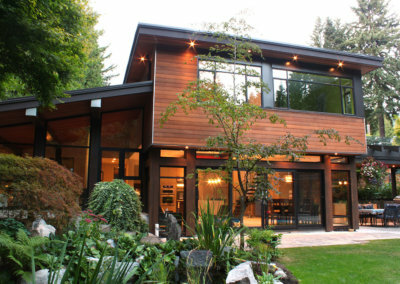 The house was in serious need of repair, a make-over, and additional space for their large family. 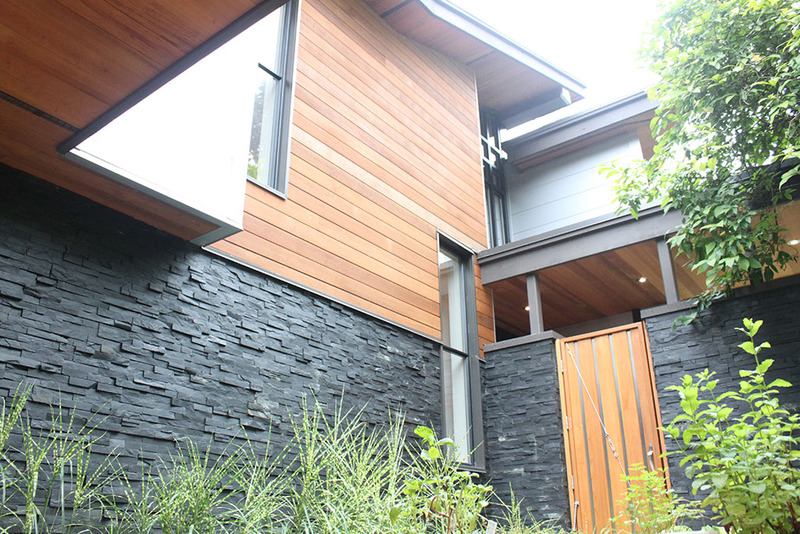 The existing house had a modern geometric massing common in the 70s, which lent itself beautifully to upgraded contemporary forms and finishes. 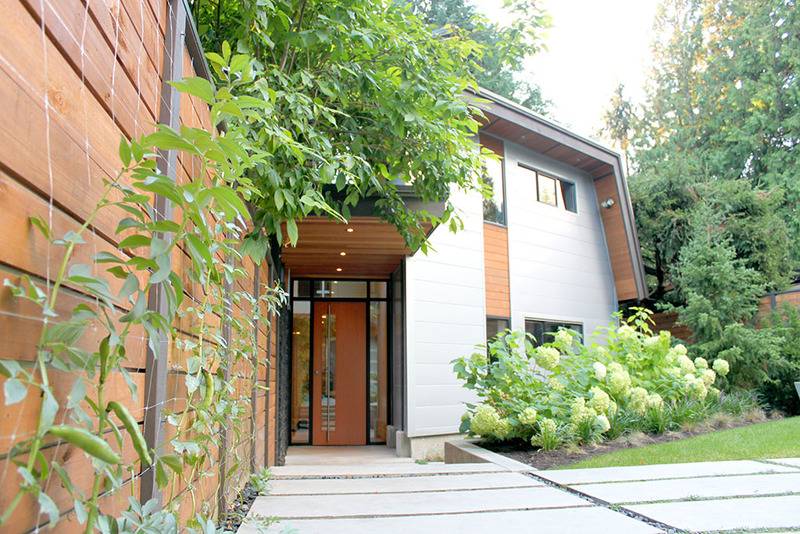 The new additions further the geometric theme by using distinct volumes clad in contrasting materials, and then separating them by a glass atrium entrance. 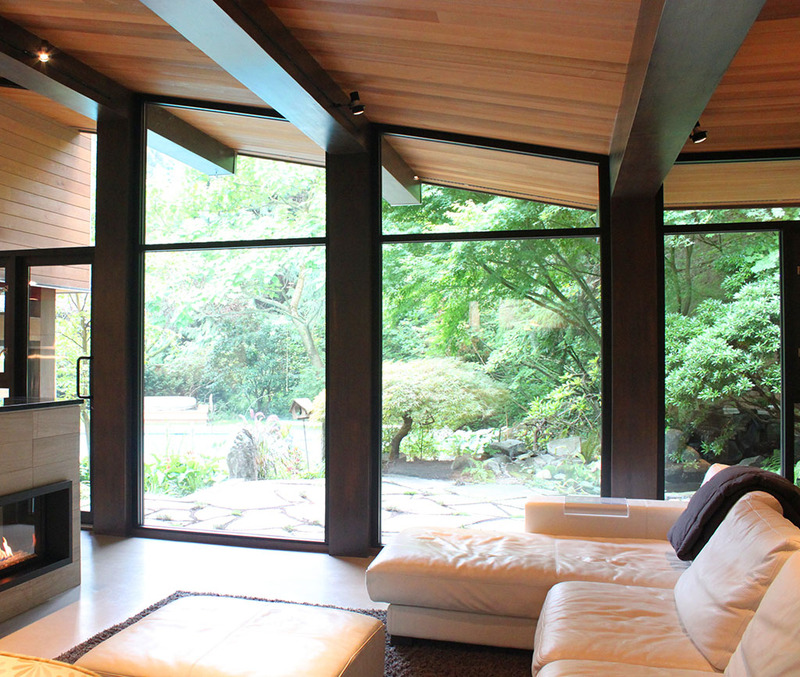 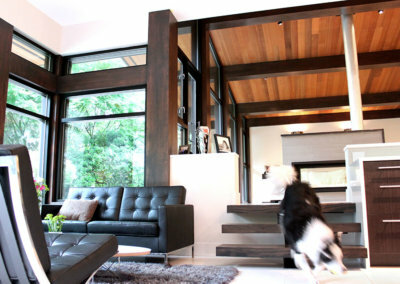 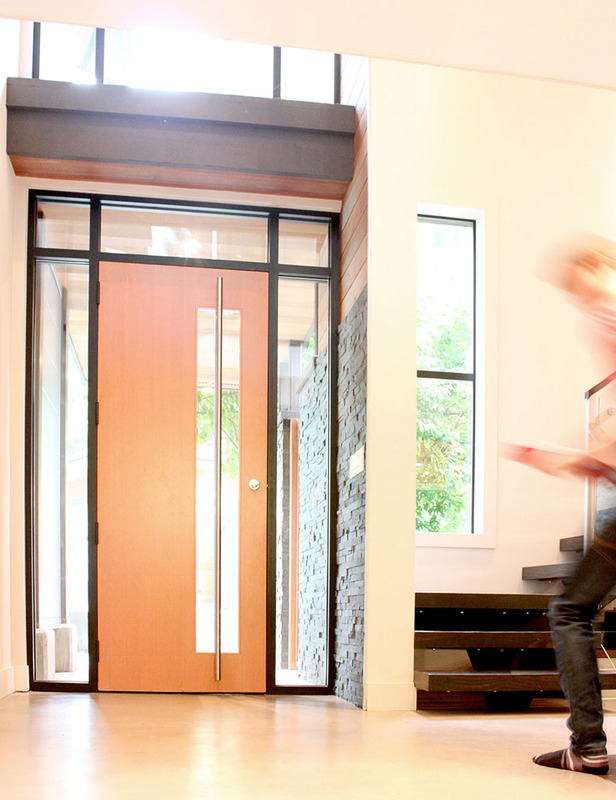 The atrium rises above both masses allowing daylight to filter in to the dramatic entrance from three sides. 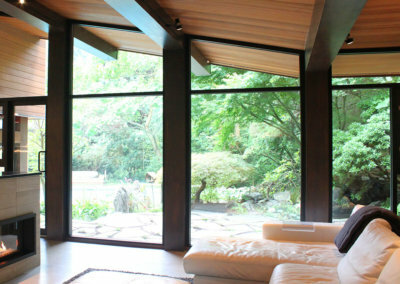 In the evening the delicate pattern of window mullions cause the atrium to glow like a lantern. 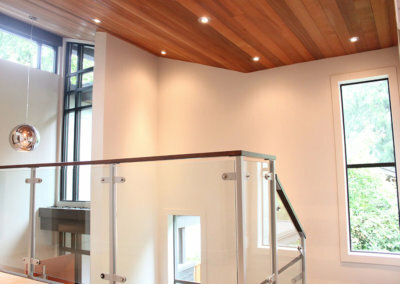 The resulting design enhanced the existing post and beam aesthetic by beefing up the structure and employing a new floor to ceiling commercial glazing system. 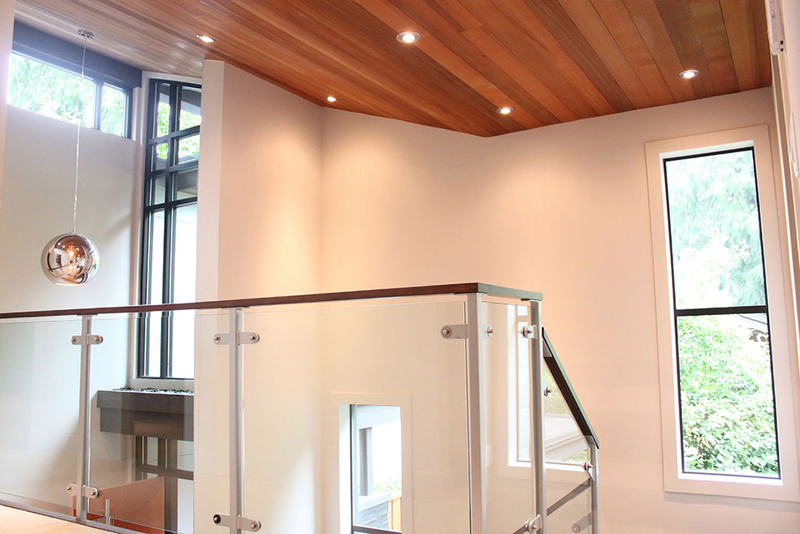 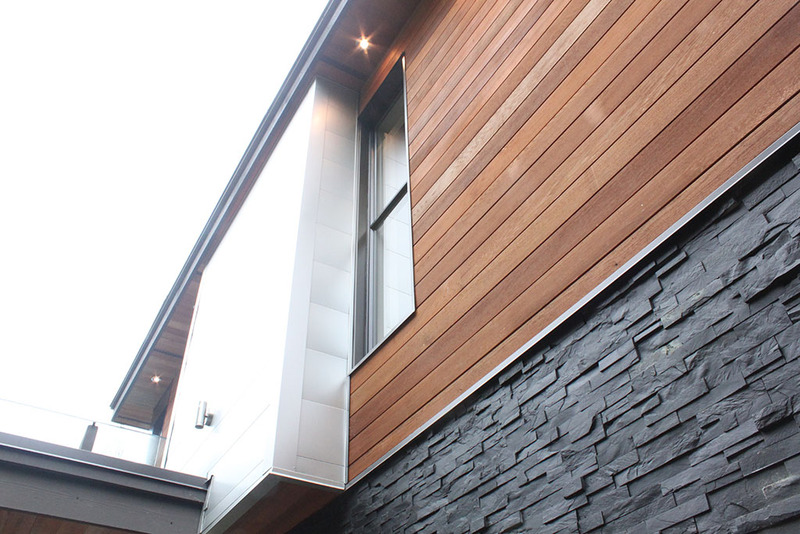 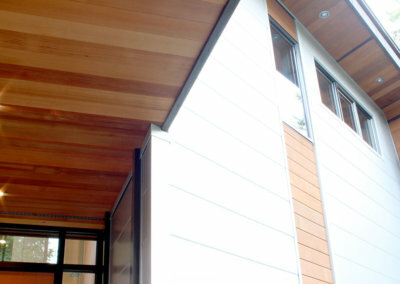 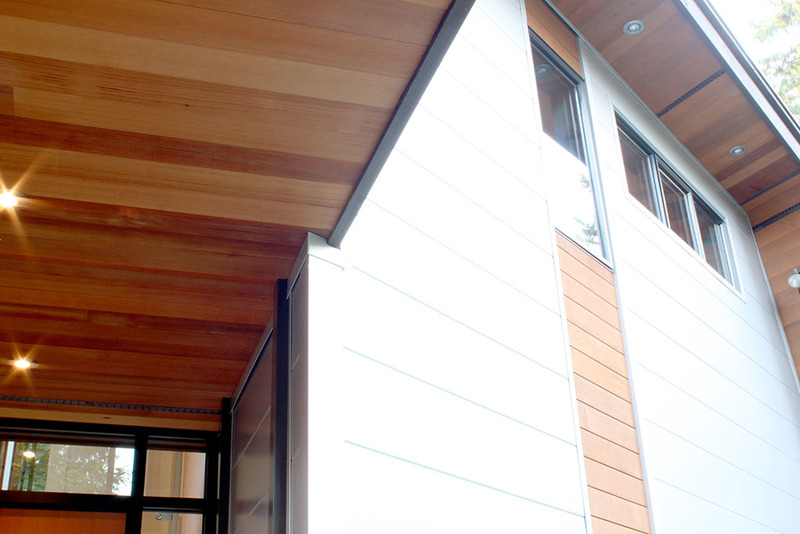 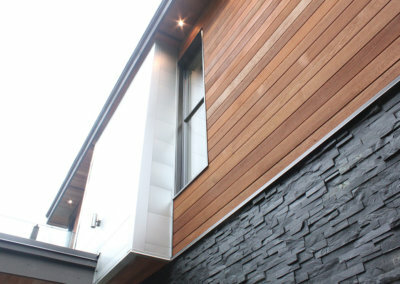 The new cedar soffits continue past window walls and transform into ceilings for the master suite and living room. 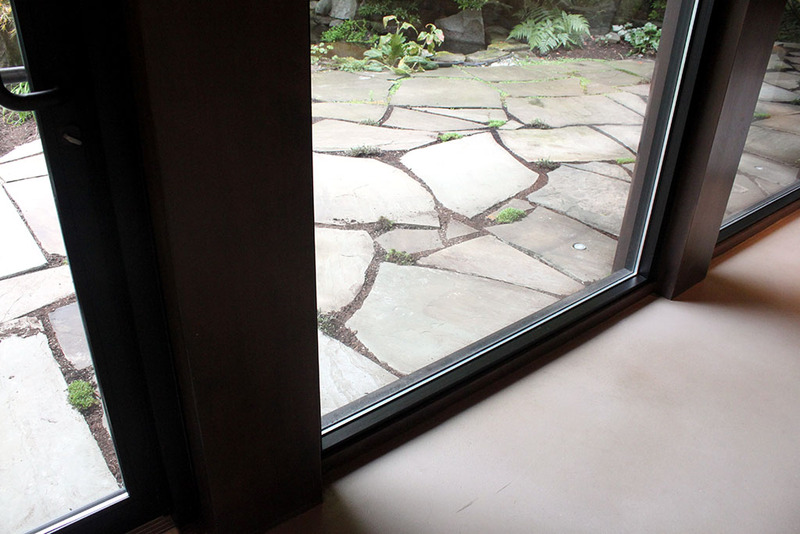 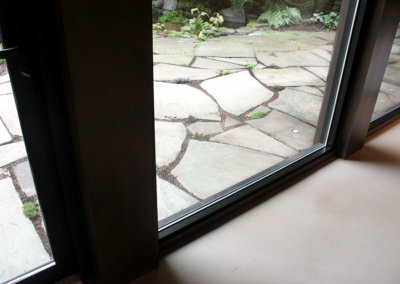 The kitchen floor tile slips under the glass and continues outside into the covered outdoor kitchen and dining area, and out across the patio.